To recite or not to recite? Most of us grew up with recitations, rhymes, jingles, songs, and mnemonics to learn the planets, math facts, presidents of the US, and more. But what about language arts and grammar? Do these “tricks” work well for a subject that needs APPLIED once it is memorized? I mean, once you learn the presidents, you can easily figure out where to fit in history. Math is all about facts and figures. But language arts/English/grammar recitations are different. 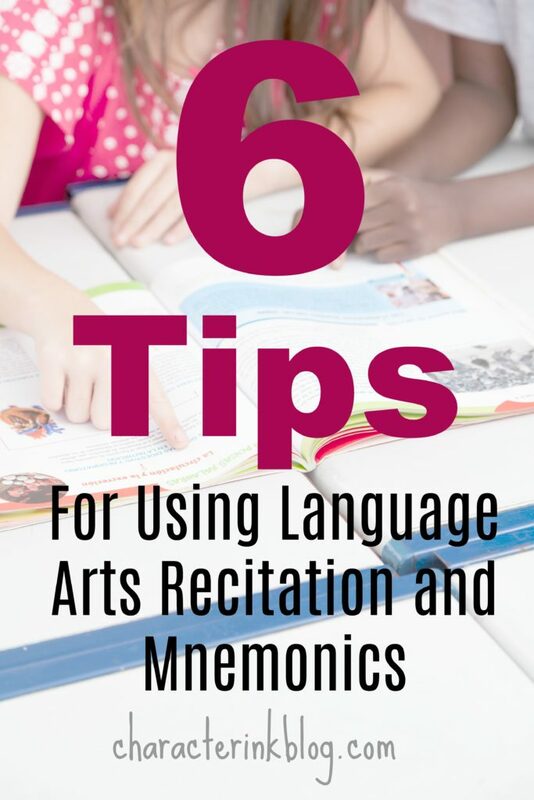 Memorizing and reciting are not enough when it comes to parts of speech, punctuation, and more. 1. Don’t use recitations that severely limit the number of items taught. For example, a preposition song that teaches thirty preps is fine to start with, but that should just be a starting point. Expand from there using other means since there are over two hundred total prepositions by some grammarians’ counts! 2. Use tricks that teach the part of speech in the context that it will be used whenever possible. 3. Use tricks that are easy to remember. I remember learning presidents in a sing-song, much-too-fast, barely discernible fashion. I can’t recite one of the presidents from that song today! The syllables were all jumbled, and it was nearly impossible to sing. While it was fast and furious, it wasn’t a good learning tool. 4. Use different tricks for different levels. For example, I start out teaching The First Six Subordinators Learned in Rhyme for my elementary books then move on to the aforementioned Subordinator-Check Sentence. I do similar tricks with prepositions. I start students out with a little toy and bathroom tissue tube, then we move on to the check sentences. 5. Use various modes of learning. 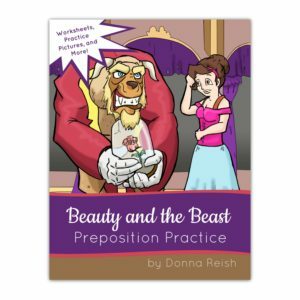 Recitation of dozens of prepositions (and my kids singing the Be, a Helper, Link Verbs Song) is darling, but not all students learn through oral channels (even if it rhymes and is cute). Having songs, jingles, check sentences, written quizzes, and a myriad of other tricks will ensure that all students’ learning types are tapped into. 6. Use tricks at the time the student is being taught to write with that part of speech. 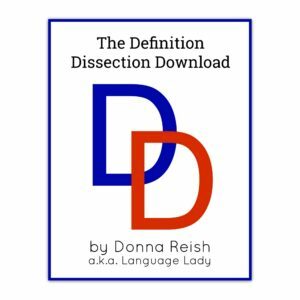 Yes, recitation and all manner of learning parts of speech and language arts skills can be utilized at nearly every grade. I have found way more success by applying the tips above in my books, downloads, and teaching. And I still get to watch sweet kids sing my songs and recite my rhymes. Sigh….happiness. 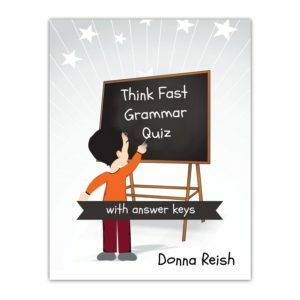 P.S What grammar concepts are you struggling to teach right now? I’d love to help you out! 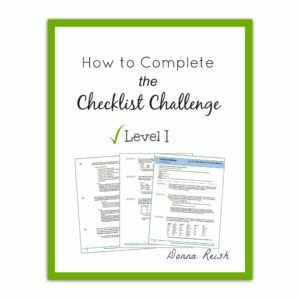 Note: All of the products mentioned in this post, along with our How to Checklist Challenge product and video and How to Outline product and video, are available at our Members’ Area.